Good King Wenceslas is a popular Christmas carol written over 150 years ago. This guitar lesson will teach you how to play backing guitar if you’re playing along with a singer or carolers, and also a solo version, where you’ll be learninghow to play the base+melody line of Good King Wenceslas. We’ll start off by learning the chords to the song, the standard chord progression, as well as the picking pattern for the rhythm guitar version. Once you’ve got that down, we’ll move on to the second section of the lesson, where you’ll be learning how to play the melody line of Good King Wenceslas on your guitar. 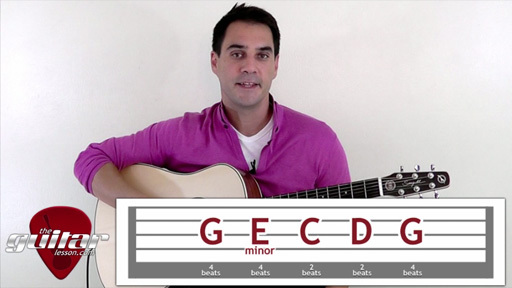 You’ll learn a couple of new chord voicings during the tutorial as well, so it’ll be really beneficial in understanding chord theory as well. All in all, this guitar lesson on Good King Wenceslas will really develop your fingerpicking skills and knowledge of chords, so it’s a very beneficial lesson. And of course, you’ll be advancing your skills in the context of learning a great Christmas carol which you’ll be able to play to your friends and family for years to come. Good King Wenceslas isn’t actually about a king, but a Duke in the 10th century, Saint Wenceslaus I who was Duke of Bohemia (907–935). Legend has it that he went out to give alms to the poor on the second day of Christmas (26th dec). He was on his way with his servant, it was snowing and cold, and his servant was about to freeze to death, when the King tells him to tread in the footsteps he makes in the deep snow, making the journey easier for the servant, so he survives. The lyrics to the song were written in 1853 by the English John Mason Neale, and the music was written by Thomas Helmore. Sorry, but you've reached a premium content area. The download of the Good Kind Wenceslas tablature file is only available to premium members. Sorry, the same goes for the backing track. To download the backing track to Good Kind Wenceslas, please log in and revisit this page.